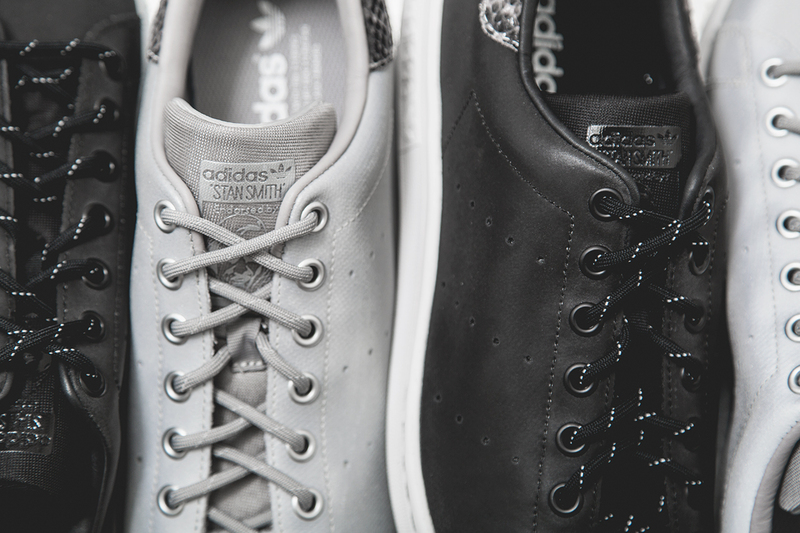 adidas Originals once again come correct with the base being the classic Stan Smith. This time around they look to brighten things up with this "Reflective Pack" which features plenty of 3m throughout and some nice faux-snakeskin leather accents to really bring the shoe to another stratosphere. 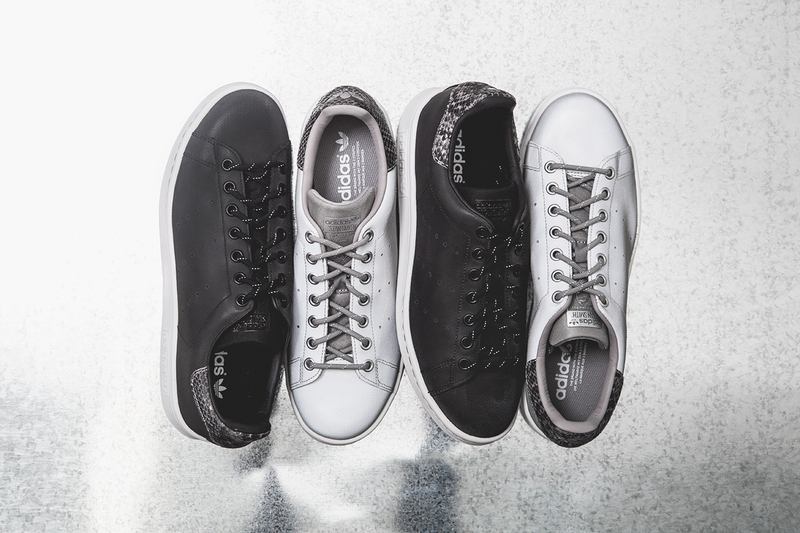 One primarily black pair and an alternate grey version are included in the pack with both sitting on a classic white sole. 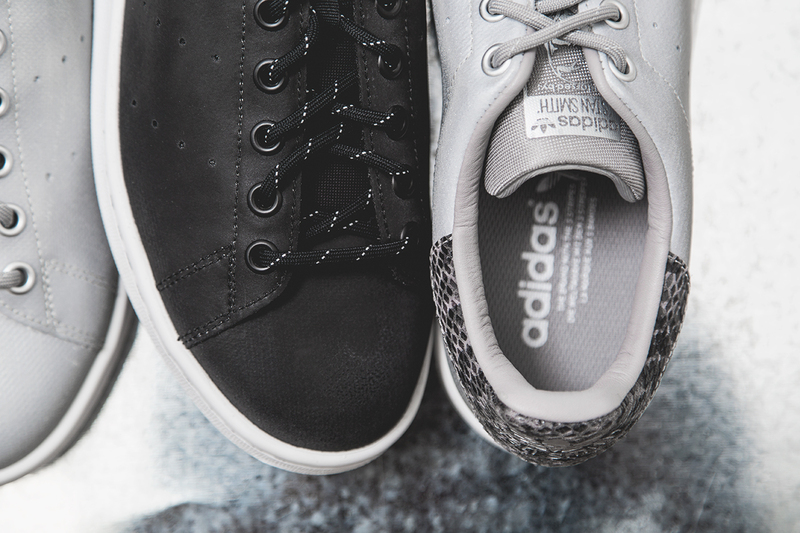 We are more than satisfied with this latest drop of the classic Stan Smith and also know there are several others soon to come that will hopefully live up to this stellar release. Continue below for some detailed images and also hit up Wish ATL directly here to pick up a pair before they are gone for good.